In 2005, after years of self-distributed CD-Rs, The Wave Pictures released Sophie, their label-debut. It was an immediate, visceral album, filled with hope and heartbreak: by turns funny, confused and dejected, it was raw and honest not just lyrically, but in terms of production too. The guitars were scratchy and lead singer David Tattersall occasionally overloaded the mic with his exuberant yelping, causing a slight distortion that, far from detracting from the listening experience, only confirmed the utter realness of the thing. Their 2008 follow-up Instant Coffee Baby and the Just Like a Drummer EP were slightly more polished, but provided more evidence of the band's small-town charm and obvious pop nous. Since then things have gone down-hill markedly: neither of the band's last two albums (one of which didn't get a UK release) received much critical fanfare, probably thanks to their tendency towards ponderous, uninteresting songs. 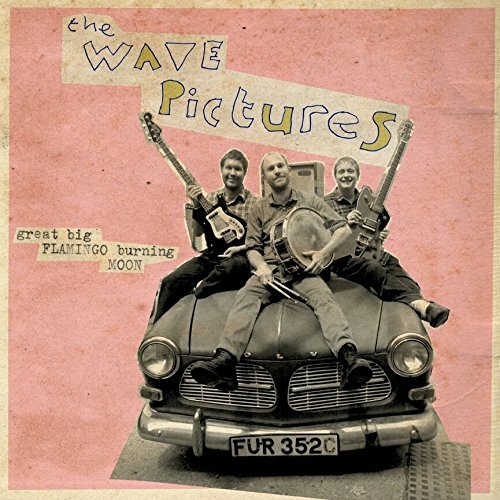 The Wave Pictures are a band in a deepening slump - so is this the album where they get their mojo back? 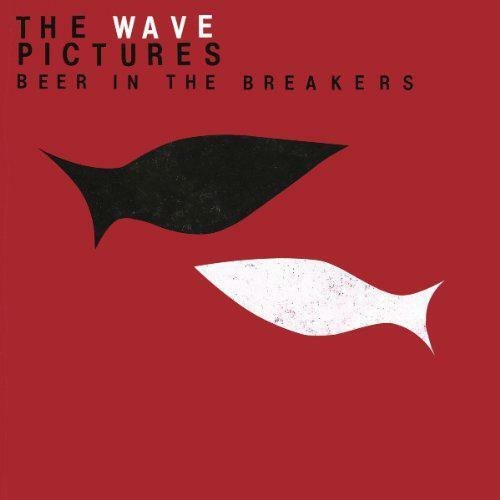 Opening song 'Blue Harbour' stands among the absolute best songs in The Wave Pictures catalogue. Anything that can capture the thrill of a new relationship is worthy of praise, but this one, about swimming out to meet a new lover in the sea, is so perfectly carefree - so simply yet brilliantly constructed - it actually gives you that fluttering anticipation you remember from when you're so excited about meeting someone you don't know that well, but you kind of know is just... right. And how you're obsessed with them to an unreasonable degree, and thinking about them constantly even when you should be concentrating on something else: "I had failed to meet you/ Anywhere on dry land/ I was busy with the band", our singer explains. And then, in that unaffected, plaintive way he has: "I would wait nine hours/ For the end of your shift/ I never meant to pin you down like this/ But I did." The drums shuffle restlessly, the chords are like striking matches, and it is basically perfect. Unfortunately, it's by far the best song on the album. 'Now Your Smile Comes Over in Your Voice' is mercifully propulsive, but typically sacrifices meaning or emotion for boring detail: the verses go on about peppercorns on a bedside table and "jingly jangly" jewellery but what any of it means is impossible to say. They are just random images, with nothing, outside of Tattersall's head, connecting them to the crux of the song, although what the crux is is also opaque - there is almost no exposition in the chorus beyond mindless repetition of the title. 'Little Surprise' is the second best song on the album: Tattersall's busy country-pluckin' and warm guitar tone give a different feel to some more shopping-list lyrics, and the chorus has some nice group vocals. 'When You Blink Back a Tear' is sparse and dull - like a lot of newer Wave Pictures, it sounds like a Herman DÃ¼ne song (with all the ponderous solipsism that entails), perhaps unsurprising considering the band's tours and collaborations with AndrÃ© Herman DÃ¼ne. At least Tattersall doesn't sing like Ren from Ren & Stimpy. 'Walk the Back Stairs Quiet' is really, really slow and boring; the nadir of the album for sure. Also, it clocks in at five-and-a-half-freaking minutes! And nothing happens in all that time! 'Pale Thin Lips' is fairly ponderous too but has a nice swing to it, and more of the usual barrage of lyrical imagery hits the mark. And anyway, perhaps it's too reductive to poke holes in Tattersall's lyrics: the general problem with the album is not just the constant sterile images, but they way they fit (or fail to fit) with the often listless instrumentation. Inventive phrasing used to be something Tattersall excelled at, but apart from on 'Pale Thin Lips' and 'Blue Harbour', he seems to have mislaid that gift. Maybe the diminishing returns from the band are a result of their prolificacy: Tattersall writes so many songs, and most, if not all seem autobiographical - but his life, like everyone's, is essentially mundane: for each minute he's swimming out to meet a new lover in the sea, there are a thousand spent aimlessly pottering around the house, or 200 waiting in a departure lounge. Is that why, far from being suffused with life and passion, most of his songs these days are so listless? The choice for The Wave Pictures, then, may be to release fewer albums; or continue to make their fans shell out for an album with only one or two killer tunes every year.